Everyone has a part of their self that gets neglected during the obligations of everyday life. So, take time out to tend to your inner self and watch yourself blossom into a fuller, happier and more exquisite you. 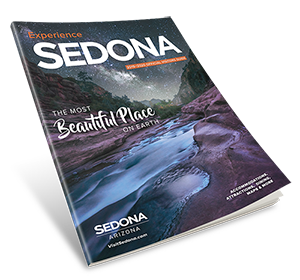 The best place to do it is in Sedona, Arizona, where natural beauty, positive energy, extraordinary attractions, unforgettable activities and superlative amenities await you. 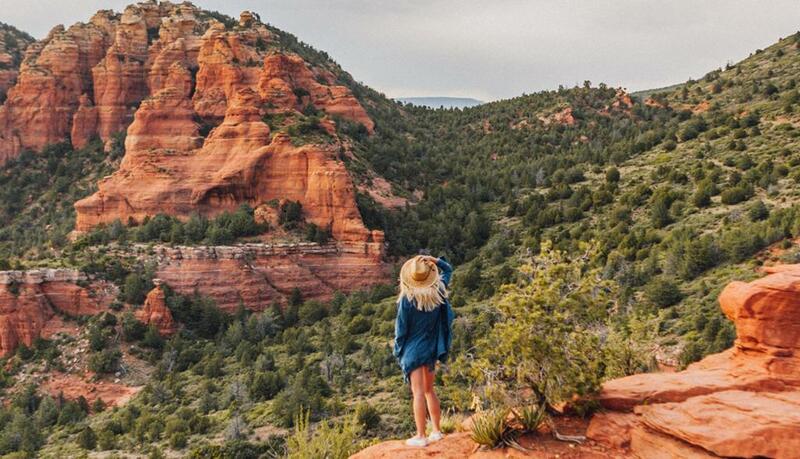 Sedona has been recognized as a destination of personal enrichment and self-care, and it’s many spiritual and metaphysical practitioners can help you find your way. Your inner child will squeal with delight while slipping down the smooth chutes at Slide Rock State Park or jumping from a rock into a deep, blue pool at Grasshopper Point. These summertime water parks, compliments of Mother Nature, nurture childlike giddiness. Giddyup with a horseback ride. Or, take a ride on the railroad. The Grand Canyon Railway ventures from nearby Williams to the canyon’s south rim on a daylong excursion with onboard entertainment direct from the Wild West. Board the Verde Canyon Railroad to journey deep into the Verde Canyon and witness unspoiled, natural beauty. At Bearizona Wildlife Park drive or walk through 160 acres harboring animals indigenous to North America. See exotic animals at the Out of Africa Wildlife Park where experiences also include ride- and walk-through exhibits, animal shows and interactive encounters. Need help coaxing out your inner child? Consider a fun and enlightening psychic or animal totem reading. Whether it’s a hands-on experience or simply appreciating the genius of world-class art, Sedona’s studios, galleries and museums nourish the creative soul. Spend a day gallery hopping and enjoying public art along the way. Observe the performing arts with a stage play, musical performance or combine dinner and a show at a dinner theater. Experience the city’s dynamic culture at one of the many art shows and festivals. And visit the Chapel of the Holy Cross to appreciate the spiritual nature of its integrated architecture. When your creative juices begin to flow, schedule a glass-blowing class, pottery workshop, painting session or lesson in another medium. Wander with your camera. Astonishing beauty surrounds you like the dramatic red rocks, otherworldly rock formations, breathtaking sunsets and the charm of Oak Creek. The photographer in you will be delighted to take home frame-worthy images to adorn your walls and stoke your creativity daily. Home to more than 100 hiking trails, 200 miles of single-track biking trails, winding hilly roads, towering rock faces, sandstone spires and the Verde River, Sedona is a veritable Youtopia for hikers, backpackers, cyclists, runners, kayakers and anyone who enjoys increasing their heart rate while breathing in the fresh air. Sedona Mountain Bike Festival that includes rides, workshops, vendors, a beer garden and live entertainment. Slow down and focus on your breathing at the Sedona Yoga Festival (also in March) where yogis from around the world lead workshops and classes for every level and every style. If river running is your thing, the Verde River Runoff in March includes 5- and 10-mile kayak, canoe and stand-up paddleboard races with Class 1 and 2 rapids amid leafy cottonwoods and towering cliffs. Whatever gets you going, restore tired muscles with a massage and stretch them out with a yoga class. Refuel at a healthy eatery, and when your vigor runs low, recharge at one of Sedona’s famous energy vortices. Book a room for you and your sweetheart at a charming bed-and-breakfast establishment or plush resort and the romance will easily ensue. Unwind and relax with soothing spa treatments for two. Then, stoke the flame with a quiet, candlelit dinner. Satisfy your love for vino at area wineries and tasting rooms. Hike to a secluded spot along Oak Creek for a dreamy picnic and siesta in the sun. Take to the skies and experience a bird’s-eye view of Sedona in a hot-air balloon as it soars in time with the rising sun over the city’s vast landscape. And finally, reflect on your good times while the fiery sun sets the red rocks, and your hearts, ablaze. For a truly unforgettable experience, book a commitment (or recommitment) ceremony at the Wedding Tree at Red Rock State Park. The wedding tree is a great destination for multigenerational ceremonies and has access to many facilities. Step back in time at the Palatki, Honanki or V Bar V heritage sites. These historic locations reveal the lifestyles of the ancient Sinagua and Hopi tribes through cliff dwellings, artifacts and more than 1,000 mysterious petroglyphs carved into the sandstone rocks. Montezuma Castle National Monument validates Sinaguan building and engineering skills with a five-story dwelling containing more than 20 rooms and 4,000 square feet of livable space built 90 feet up a sheer limestone cliff. Additional dwellings exist at Montezuma Well, where irrigation from a perennial spring watered the crops of these prehistoric farms. Get a glimpse of more contemporary times—the late 1800s—at the Sedona Heritage Museum, once the homestead of the pioneering Jordan family. Make your own bit of history with a Native American ceremony—a shamanic drumming ceremony to connect you with your spirit or animal guide; a fire ceremony to release things that no longer serve you; a water ceremony to honor its life-giving essence; and a purifying sweat lodge steeped in spiritual symbolism. Do you crave adventure? Sedona is a YOUtopian basecamp for remarkable outdoor adventures and life-changing experiences. Paddle rapids on the Verde River. Book an air tour of Sedona or the Grand Canyon and glide alongside jaw-dropping sights. Take a ground tour by vehicle or on foot to delve deeper into the rugged desert; the majestic Antelope Canyon will elicit oohs and ahhs and a lifetime of passionate retellings. Perhaps the adventure you crave is inward? Build an astrological or numerology chart to help define your future path. Mind, body or soul, the Sedona YOUtopia experience will reconnect you to yourself, the earth and ultimately everyone around you. Browse these YOUtopia itineraries to get started. Follow your instincts and don’t hold back, and then reap the rewards for years to come.